Many of us only get to see the finished piece, skipping all of the intricate stages from design through to completion. From the first stages of design through to the finished piece, we ensure that you, the customer, are involved. Whether you have your own particular idea in mind or would like us to design something unique and individual, we are always very happy to accommodate. We encourage our customers to think about what they would like to have made – is it something completely new, or something using pieces of jewellery they already have? Types of stones and metal(s), traditional or modern, everyday or special occasion – these are all things which can be helpful to think of. Browsing around for ideas can be useful and customers are more than welcome to bring in pictures of pieces they like to help with the design process. When you come in to discuss your ideas, we can offer advice and suggestions and work with you to clarify the details ready for the jewellers to work with. 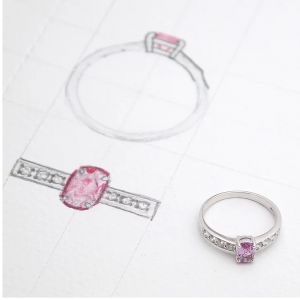 Our jewellers can then draw up some different designs for you, giving you several options to choose from. We can email these designs to you or let you know when they are ready to view. Then we like to hear your comments! If there are certain elements of different designs which catch your eye, then we can do further drawings for you to incorporate each different aspect until we have the one that is perfect for you. We can give you costings for each design and discuss with you which design might be best to better suit your specific needs. Designs and estimates are no obligation and free of charge. 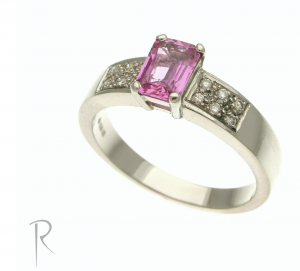 Once you have finalised the design and are happy to proceed, our goldsmiths can begin making your piece of jewellery. From this point, we typically say most handmade pieces will take 4-6 weeks to make, though this is a guideline only and can vary depending upon the piece. If we are making you a complex design set with many stones or are having engraving, then we may ask for you to come in for fittings. These fitting sessions allows us to make sure that no adjustments are needed to be made before the important setting of the stones or engraving and for you to see how your jewellery is progressing. Then it is simply a case of making all of the final touches to complete the piece. Once it is ready for collection we contact you again to let you know, and we can do an insurance valuation for you if requested. (Some insurers may only require a receipt for the first year after purchasing a new piece, but we are happy to provide a valuation too). 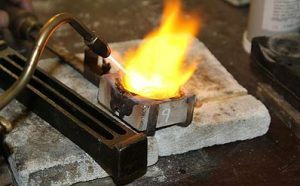 At times, we may not always be able to hallmark a handmade piece of jewellery before your deadline, as we typically only send hallmarking every month or so. If this is the case, then we will contact you once we are sending hallmarking to the Assay Office so that you can bring your piece in and receive it back just a few days later. If you would like to make an appointment to speak to one of our jewellers and start your own design adventure, please contact us.